Vans are vehicles used by common in everyday life, and even more often – commercial vehicles many types of businesses use. There are cargo vans to transport goods and materials, as well as any items in general. ALso, there are passenger vans of various capacity used in many situations. There are delivery vans used by many companies. There are vans specially equipped for different services. And of course, there are mini-vans, essential family cars. They all have different dimensions, so when you need Van Shipping, first of all, let the auto shipping company know what kind of van you need to ship, so they can tell you if they can work with it. El Paso Car Transport offers many specialized auto shipping services, including Van Shipping. 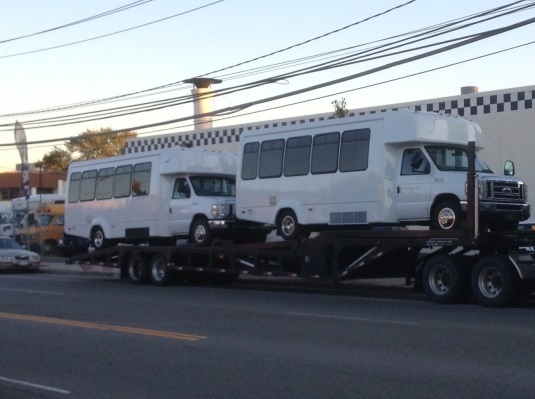 With us, you don’t have to worry if we can ship your exact make and model of van because we absolutely can. Our car carriers, delivering all around the United States, work with all kinds of vehicles. They will safely load and unload your van and will be transported properly secured. If you have several vans you need to ship, we can help you with that as well. We have assisted many of our clients who needed Commercial Transport services for multiple vehicles. We know how to do it right! Need your van to be shipped as soon as possible? Not a problem! At El Paso Car Transport we offer Expedited Auto Transport services. Sometimes you don’t have time to wait for a week or two to get your van picked up. We will make sure it happens much sooner! Call our agents and get all the needed information about our El Paso Van Transport, including a free quote! El Paso Car Transport will be glad to transport for you!